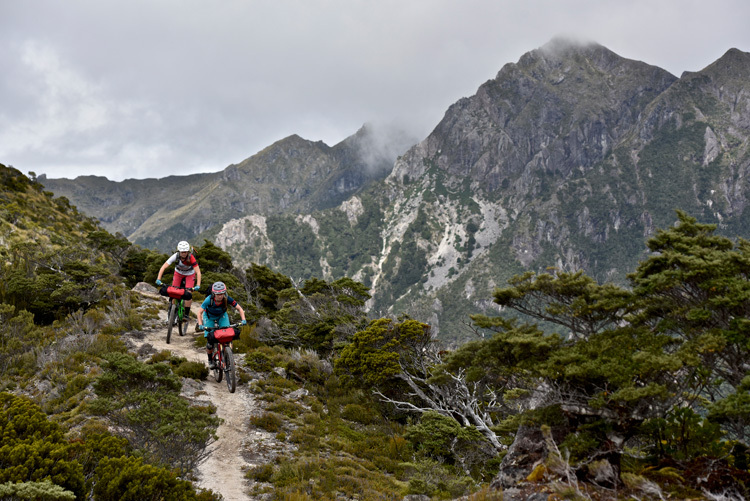 Across the valley, two brightly colored mountain bikers sit poised on a ridgeline above a twisting section of singletrack. Thanks to the slender rectangle of tech clipped to my photo pack, they are mine to control. 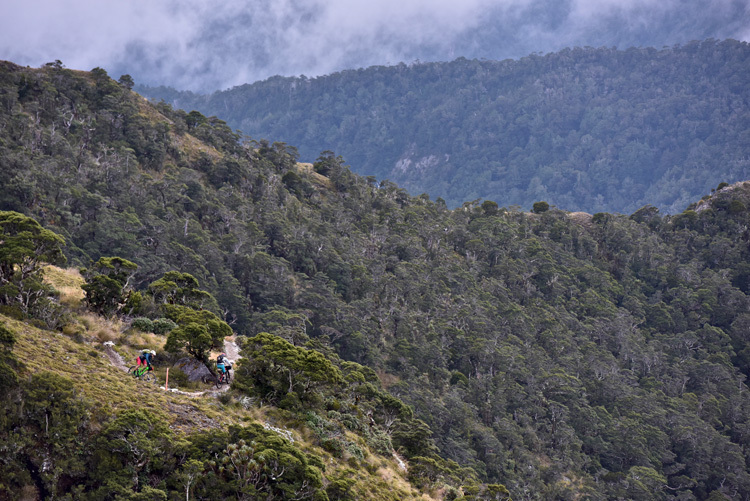 We’re on a magazine shoot in the Lyell Range on the West Coast of New Zealand’s South Island and our crew is outfitted with goTennas, a new device that creates a communication network between users. I tap “send” and my message to “drop it” instantly zips the half-mile to the riders. They receive it, promptly clip in and launch into the turns below. 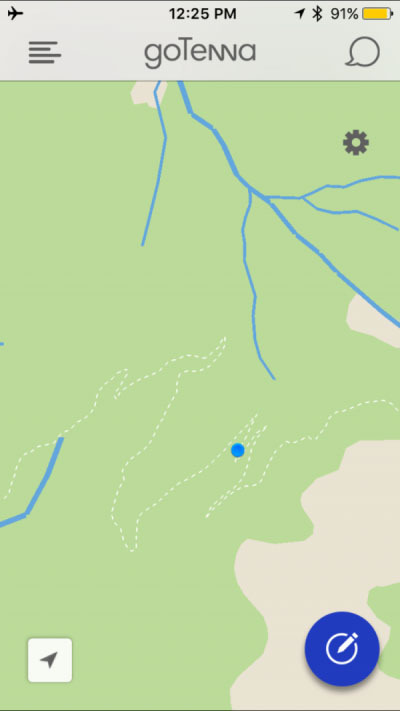 After their run, they are just tiny specs in the distance at the bottom of the ridge. “How was that?” messages Sarah from down in the valley. “Awesome! On my way down” is my message back. A green check mark shows me that it’s successfully sent. I stow my gear and ride down to meet them. 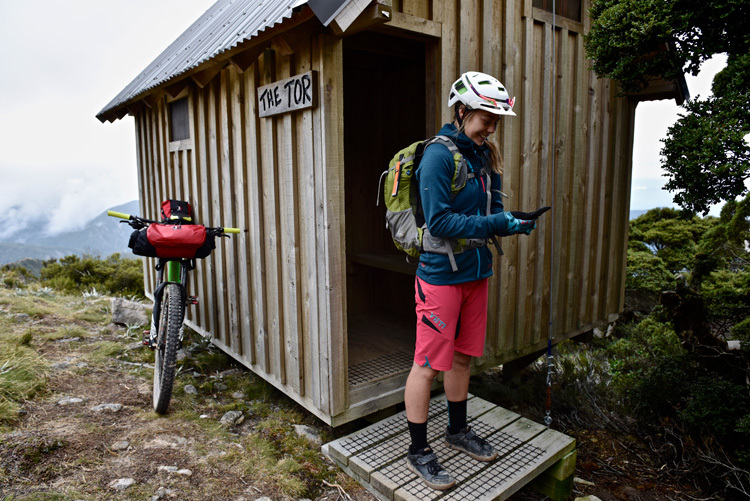 We usually employ some sort of two-way radio to coordinate this kind of work, but decided that a weeklong bikepacking adventure in the mountains of New Zealand would be a final proving ground for this new technology. 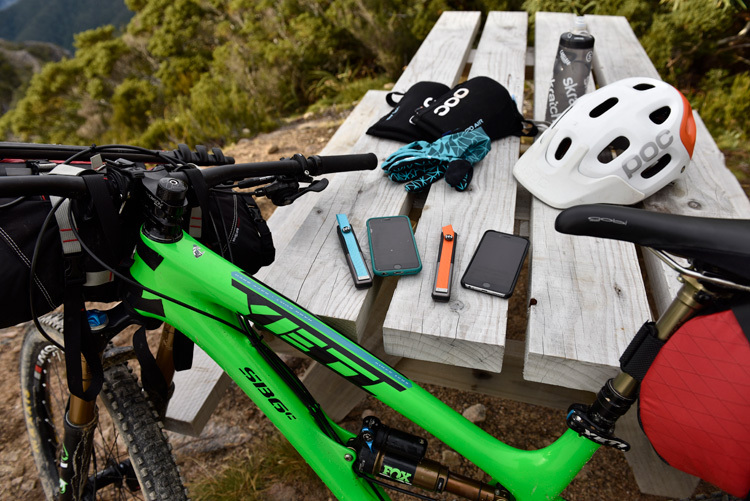 The goTenna is a battery-powered transceiver that pairs with your smartphone (iPhone or Android) via Bluetooth. 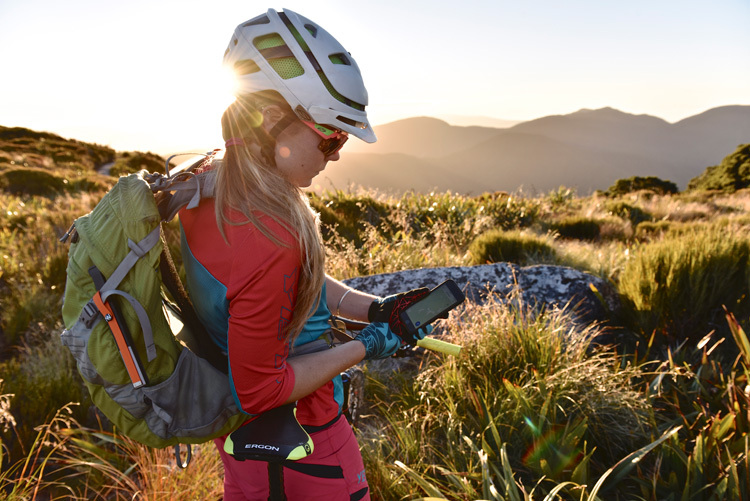 The associated app allows for text messaging and GPS mapping functions between up to 10 goTenna users. After getting acquainted with the device on our home turf and while traveling abroad, we felt the tiny goTenna units (1.8 oz. each) could get the job done in the backcountry. The nature of this project meant that we could try using simple messages to coordinate photography with our athletes. Plus, the goTennas offered a couple advantages over the different kind of handheld radios we use—mainly in weight savings and power consumption. The professional-grade radios we use weigh in at 12 oz. each and the smaller consumer walkie-talkies have proven unreliable, depleting batteries in as little time as an hour of use. On this particular adventure, the goTenna “sticks” lasted about four days until needing a recharge via their micro-USB port.